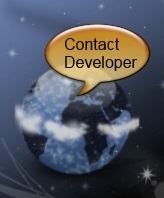 You can contact the Simple Data Backup developer by filling in your name, email address, and message below. When you are done, just click the button that says "Send this message!". Note that any comments you send may be used for testimonial/marketing purposes and by sending your message you are giving your consent to any usage of such comments. If submitting a bug report, please first make sure you are using the latest version of SDB before doing so.